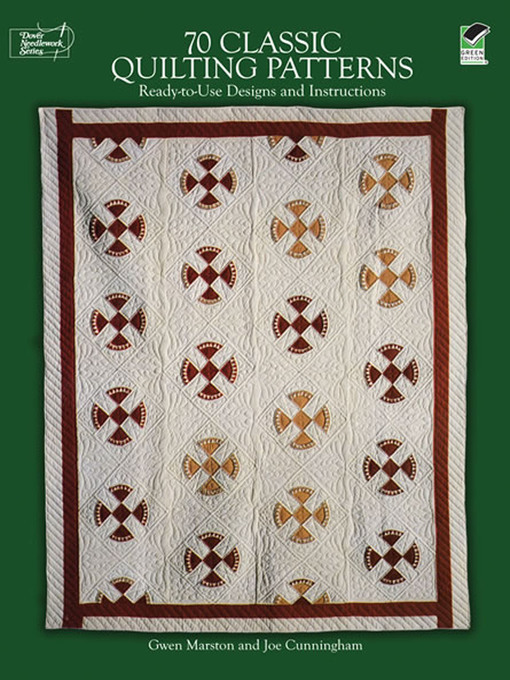 With the help of this volume from noted quilt makers, teachers, and lecturers Gwen Marston and Joe Cunningham, needleworkers can now create their own stunning heirloom pieces with designs that will enhance any patchwork or appliqué quilt. Seventy ready-to-use full-size patterns come in a wide assortment of designs for decorative sticking: pineapple, feather and swirl motifs, florals, corners, a selection of repeating borders, and much more. Easy-to-follow instructions and clear diagrams take all levels of needleworkers — from beginners to veteran quilters — through each step of completing a quilting project — transferring the design to the fabric, placing the piece in a frame, the quilting stitch, beginning and ending a quilting line, etc. The wealth of classic designs, brought together in one convenient sourcebook, will be a welcome addition to any quilter's library.